A neuropsychologist is a psychologist that specializes in understanding how the condition of the human brain affects behavior and cognitive function. They do this through the study of brain injuries, brain disease, developmental disorders, and mental health conditions. Neuropsychology is a wide field, encompassing a variety of different job responsibilities including academic research, treatment of patients who have suffered brain damage through injury or illness, consulting with pharmaceutical companies on the creation of new drugs, and administering a wide variety of neurocognitive tests. Earn Your Neuropsychology Degree Online. You May Qualify For $6,095 in Grants! As well as completing a 4-year bachelor’s degree program, aspiring neuropsychologists will need to spend an additional 2-7 years studying for their master’s in psychology or doctorate in psychology (PhD in Psych, PsyD, or EdD). Additional time may be required for internships or licensing. Find Licensing requirements for your state. A Bachelor’s Degree in psychology, biology, pre-med or neuroscience. A Master’s Degree in neuropsychology, which may also require you to take an internship. A Doctorate Degree, which includes a dissertation and clinical training. A majority of people in this career have at least a master’s degree level of education. According to the U.S. Department of Labor’s Career One Stop Site, 6% of practicing neuropsychologists and clinical neuropsychologists have earned a bachelor’s degree, 44% have earned a master’s, and 49% of neuropsychologists have earned a doctoral or professional degree. 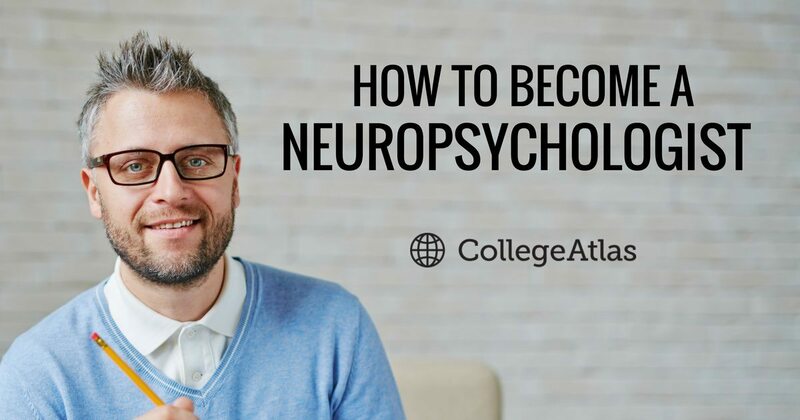 In order to practice professionally as a neuropsychologist, you may also need to obtain certification, although this is not always necessary and depends on your employer. You can become certified by the American Board of Clinical Neuropsychology (ABCN) or the American Academy of Clinical Neuropsychology (AACN). You may also need a state license. This will typically require you to have two years of clinical experience. Neuropsychologists earn an average of around $94,650 per year. The salary range for neuropsychologists is typically anywhere from $41,690 to $127,710 per year. *Neuropsychology falls within the BLS.gov Psychologists, All Other category. Neuropsychologists are typically employed in either research or clinical careers. Some positions have an overlap between the two. You can learn more about neuropsychology research and clinical careers below. Neurological research involves studying healthy humans and animals as well as human and animal patients with neurological conditions in order to learn more about brain function. Researchers are employed by academic institutions, private and government research facilities, and drug companies. Acute Neuropsychologists: Work with neurosurgeons and related specialists treating early effects of neurosurgery, trauma, and neurological disease. Rehabilitation Neuropsychologists: Support patients with longer term neurological problems and those recovering from brain trauma. Community Neuropsychologists: Support long-term and recovering patients in the community. Career advancement usually comes about through obtaining research grants, being promoted to lead academic research projects, and by expanding personal client bases. Certification with licensed bodies is advisable.